Little Tew is a small, rural village in the North Oxfordshire Uplands, the north eastern part of the Cotswold hills. The parish consists of about 150 houses. It has its own church, but, like so many other rural communities, no longer any shops or even a pub - though the Falkland Arms at nearby Great Tew is a short and pleasant walk away. It also shares with Great Tew a busy community centre - The Tew Centre - which is also home to the Great and Little Tew Cricket Club. The village is about ten minutes drive from the market town of Chipping Norton (or 'Chippy') and about half an hour from the city of Oxford. The nearest railway station is Charlbury, with Bicester North, Oxford Parkway and Banbury stations a little further away, providing easy journeys to London and Birmingham. Little Tew comes under the local government administration of West Oxfordshire District Council and Oxfordshire County Council. It does not have a parish council, but does have its own a parish meeting, which meets in the Little Tew village hall, The Timberyard Room. The centre of the village is a Conservation Area that contains a number of 'Grade II' listed buildings dating from the seventeenth century and built of the local limestone. 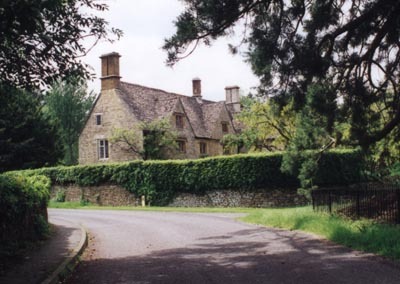 Little Tew has an interesting history and has, over the years, been the home to various celebrated figures in the arts, sciences, classics and archeology - some of whom are resident today.